Five people completed long distance runs in Septmber and October and raised a lot for the Trust – Anuschka Kruger completed the Para10 endurance event, Andy Thompson and Liz Blezzard ran the Great North Run, and Andy Ackroyd and Steve Taylor completed the Majorca marathon. Catterick, Newcastle and Palma were the locations for these – I like Catterick and Newcastle but Palma would have been my choice. The 26 miles that went with it might however have been a bit of a stumbling block. Autumn also saw a cycling event at Farnley Tyas organised by the Cullaighs and 3 successful evening events in November. Each of these events took a lot of commitment and effort and meant a lot to those who organised and took part in them. There were a further three events later in November that were powerful reminders of how much Huw meant to people. Former Holmfirth school pupils Kate and Lauren Hawkridge talked to the year groups at 5 assemblies at their school in Hampshire about Huw and then organised cake and bun sales that raised £600. Kate and Lauren should be proud and are lovely girls and good friends of Huw’s and other young people in Holmfirth. 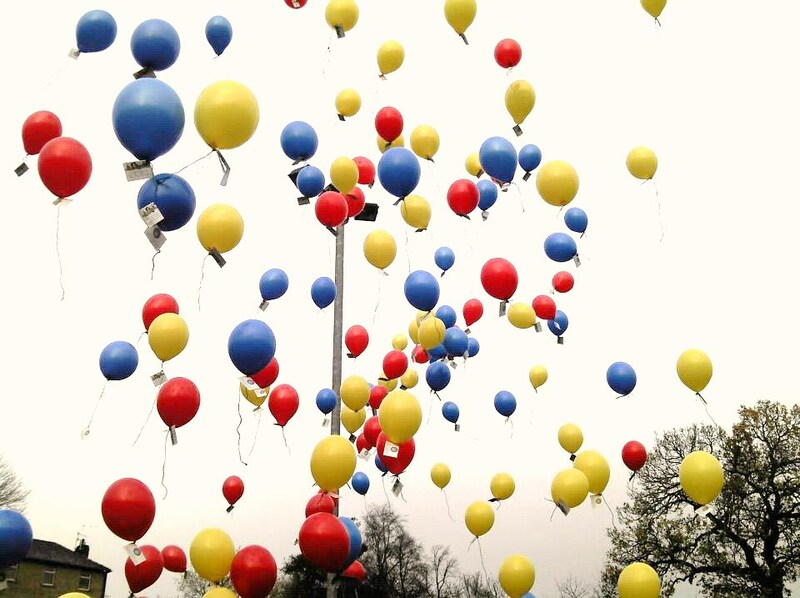 Ella Marshall should be equally proud of organising the balloon release at Sands to remember Huw on his birthday; while some money was raised, it was all about remembering Huw and what he meant to all of us. Doing the balloon release with Huw’s loyal friends was a perfect way of doing that. Huw’s friends were also at the heart of the Holmfirth High School non uniform day that raised £1,000 – many of Huw’s friends wearing Thatch 2 T shirts or Cardiff City shirts. As well as in Holmfirth and Hampshire, funds were also raised in Wales and Somerset this Autumn. Jac Weekley who took part in the Coast to Coast bike ride in August, raised £100 through his school’s fund raising unit – Jac goes to school in West Glamorgan. 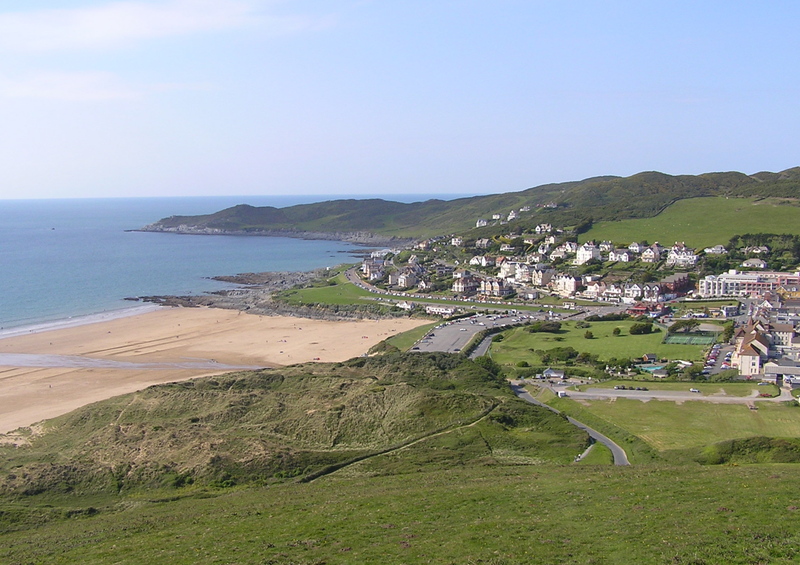 Nick and Penny Edwards raised £300 through a coffee / cake morning in Cheddar, Somerset; the 4 Thatchers often stopped off to see the Edwards over the years on the way to holidays at the idyllic resort of Woolacombe in North Devon. There were several fantastic donations such as £1,500 from Barclays Bank (with thanks to Russ Briggs). Other extremely generous Corporate and individual donations to sponsor the autumn long distance runs (as above) and also still coming through for the coast to coast bike ride from August. The large donations have made a big difference but the more modest donations meant just as much such as Jac Weekley’s efforts and individual donations on Huw’s birthday and at other times. Around 3oo more Huw wrist bands were sold in the Autumn, and there are now people wearing them in Huddersfield, Holmfirth, other parts of Yorkshire, Bristol, Newbury, South Wales, Hampsire and Ireland. Many gifts were also auctioned or raffled including a week’s holiday in Spain, a signed Yorkshire Cricket bat and a bottle of whisky signed by David Cameron. Huw’s flower tubs at Sands have continued to thrive in the Autumn, and the area around them is always neat, tidy and respected – as well as enjoyed by people of all ages. We have had 2 Team Huw meetings with 4 young people (Tom, Ella, Ellie and Louie) joining the group to replace Sam, Sean and Amie; thank you to everyone who is helping to organise and promoted events – you can see here the things that are planned for next year. Last but not least, Huw and Carys won an award at the Yorkshire Children of Courage and Achievement presentation evening in October. You can read about the previous events here; the funds raised are making a difference every day for brain injured people and everyone involved should be very proud about that. Hearfelt thanks to everyone who has donated time and money to contribute to this fantastic effort.